Days of Our Lives spoilers indicate it doesn’t take very long for Ben to figure out that his sister Jordan has been behind Ciara’s kidnapping. Jordan thinks that she’s doing her brother a huge favor but it looks like this sinister plan of hers is doing to do nothing but drive them even further apart. 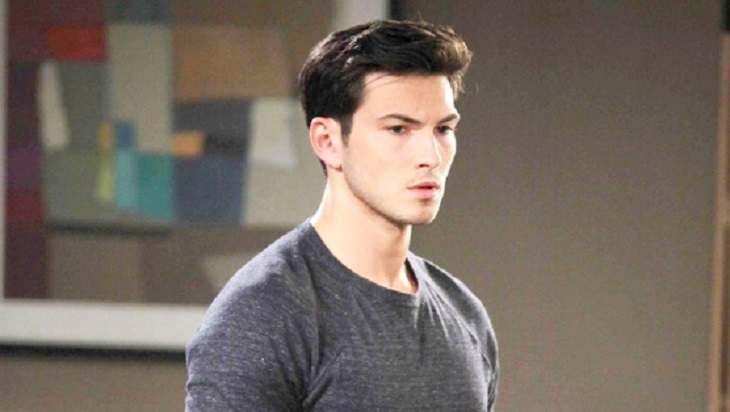 In fact, new Days of Our Lives spoilers tease that Ben will have to work extra hard to clear his name and hopefully rebuild his reputation as he tries to find both Ciara and Charlotte and bring them home. Jordan currently has Ciara held hostage in a cabin. She wants to make it look like Ben is the one who abducted her just so she can bring him back to Bayview so he can get the “help” that he needs. But it won’t be easy. Ben is not only desperate to prove to everyone that he’s not the same person that he was before, but that he also needs help in finding both Ciara and Charlotte and bringing them home. Considering their history together, Chad is hesitant to help but at the same time knows he needs to bring both girls home both safe and sound. Clearly, Jordan’s mental health has deteriorated even more since the last time she was in Salem. She thinks that by kidnapping Ciara and Charlotte she can bring Ben back to Bayview with her, but it turns out that Jordan is the one who needs additional counseling, not Ben. As even fans know, all she has done is get in the way of all the progress Ben has made to turn his life around. Of course, fans will have to tune in to find out what will happen next. Days of Our Lives airs weekdays on the NBC network. Check your local listings for times.